Albert the sheep in a bath. Christchurch Star Archive. In copyright. CCL-StarP-01135A. 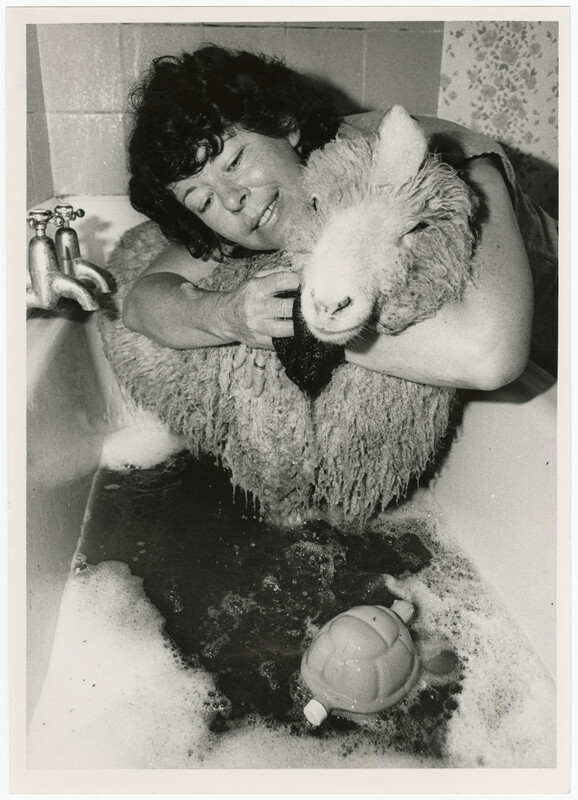 Mrs Rosemary Halloumis giving her pet sheep, Albert, a bath at his home on Taylors Avenue, Fendalton. Albert is being groomed ahead of his appearance at the Christchurch Festival floral parade. 25 February 1984. Do you have any photographs of the Christchurch Festival floral parades? If so, feel free to contribute to our collection.